To the consternation of the peace-loving Dutch public, the country was confronted in the 1970s with a home-grown terrorist movement that was directly rooted in the decolonization of Indonesia. Additionally, although the perpetrators of the violence had political goals, they were also at war with the Dutch collective refusal to remember decolonization. As such they were battling against widespread unremembering. The Netherlands’s South Moluccan community makes up a special group within the hundreds of thousands of those who were repatriated from the former Dutch East Indies to the Netherlands from 1946 onward. The hundreds of islands that make up the Moluccas are the original, fabled “Spice Islands”, much desired for their cloves and nutmeg by Asian powers as well as Portugal and the Netherlands in the16th century. By the early 17th century the Dutch East India Company had a monopoly on this valuable trade. From the late nineteenth century onward the Dutch colonial government practised large-scale recruitment among the Christian section of the Moluccan population for their colonial army, the KNIL (Royal Dutch Indies Army). Moluccans gained a reputation for not only being good soldiers but also devoted subjects of the Dutch Royal Family. The transfer of sovereignty from the Netherlands to newly independent Indonesia in 1949 left these Moluccans in an awkward position. Only months after gaining independence from the Dutch, the government in Java decided to end federalism and rule directly from Jakarta. Moluccans responded on April 25, 1950 by declaring an independent Republic of South Molucca, or Republik Maluku Selatan, and the new Indonesian government moved to crush the rebellion. Although the KNIL had been disbanded in July 1950, 9,000 soldiers on Java had yet to be demobilised, including 4,000 Moluccans. These Moluccan KNIL soldiers feared that they would become victims of reprisals if they were demobilised on Java. In December 1950 a court in The Hague decided that it would be illegal for the Dutch authorities to demobilise the Moluccans against their will on Indonesian soil and on February 2, 1951 the Moluccan KNIL soldiers were ordered to embark for a temporary sojourn to the Netherlands, together with their families. This was considered by all concerned to be a temporary solution, and it was hoped that these Moluccans could return to their homeland once stability had been restored. Upon arrival these loyal soldiers were immediately and unceremoniously discharged, becoming unemployed and stateless. The search for temporary housing for the 12,500 Moluccans was a huge problem for a Dutch government dealing with a serious housing shortage in the immediate post-Second-World-War period. Many Moluccans were consequently housed in two former German concentration camps. The Moluccans felt a deep and bitter sense of betrayal. The ideology of the Republic of South Molucca (RMS) continued to live on, dominating the collective life among this insular community. Needless to say, they never returned to their homeland and the Dutch authorities never entertained the idea of recognising their right to independence. 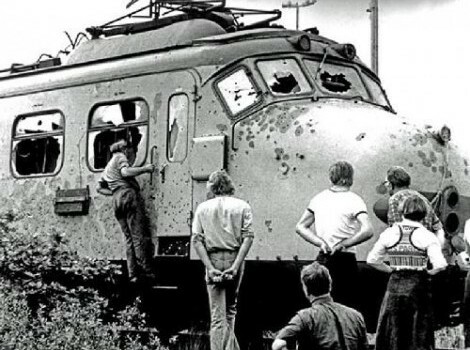 The bullet-riddled train in which the hijackers were killed. The young Moluccans were rebelling against the failed methods of their elders, whose loyalty to the Dutch and peaceful protests had been all but ignored for nearly two decades. But they were also trying to awaken the Dutch from their slumber, forcefully reminding them of the debt they felt they were owed since last days of decolonization. Within the isolated Moluccan community, the scars of the traumatized first generation had become a collective post-memory for the second generation. Young Moluccans, born and brought up in the Netherlands but raised in relative isolation (sometimes in former concentration camps), were caught in the post-memory dilemma of never having experienced the object of their loss. Turning to violence in order to attack the comfortable unremembering of the Dutch was their way of working through their post-memory dilemma. To that extent, these were not simply terrorist actions, but also violent representations of decolonization, the historical wounds that festered among one specific group impacted by decolonization, a group that felt itself to have experienced an injustice, to have been betrayed, wounded and then all but forgotten, by the Dutch authorities, by the public and by the historical profession. Obviously lawyers representing the Dutch state have rejected these accusations. They also appealed that the statute of limitations had expired. 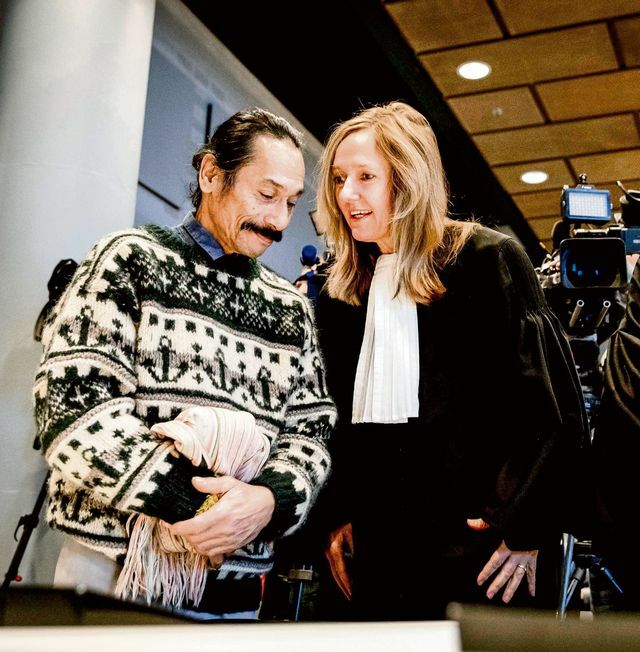 The first victory for the Moluccans came when the judges decided that the Dutch state had withheld information, and consequently the statute of limitations did not apply. The second victory came when the judges decided further investigation was needed and that the Dutch soldiers involved in the killings are to be called as witnesses. Furthermore, the Dutch state has been ordered to supply the court with more documentation that could shed light on the case. The national news services and newspapers covered this story and once again the Dutch public has been made aware of unfinished business regarding its ugly war in Indonesia and the long legacy of decolonization. In December I wrote that recently “the Dutch historical world, and public media in general, have been rocked by ‘revelations’ regarding war crimes”. On February 24 the government announced it was providing over four million Euros to three Dutch historical institutes to carry out independent research into the use of violence by Dutch forces during the Indonesian war of decolonization. Controversies surrounding Dutch military brutality in Indonesia, and the fact that the Moluccan community has at last scored a first victory in court, provide clear examples of a long denied past that simply won’t go away.